If you haven’t noticed, I love spices. I mean LOVE them. Beyond imparting bold flavors, they are incredibly medicinal (I outline all their healthful properties in my Ultimate Grocery Store Guide). So I tend to be heavy handed with them. 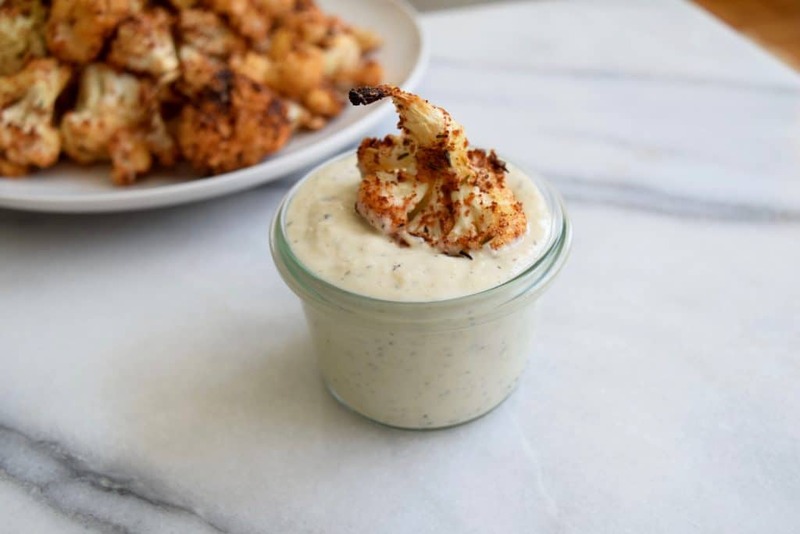 This spicy cauliflower poppers dish brings together a variety of health-promoting spices, including the seldom used thyme and oregano, alongside spicy favorites cayenne and chipotle powder (which speed up your metabolism). The simple cashew dip complements the dish perfectly, helping to cool down any heat. Stick a toothpick in these bad boys, and you’ve got an easy party appetizer, or serve these as a spicy side dish or component of a veggie bowl. Anyway you serve them, they’re a delicious and fun, yet simple addition to the table. Put the cashews for the dip in a bowl and cover with filtered water and soak while you make the cauliflower. (Ideally soak for at least 30 minutes). 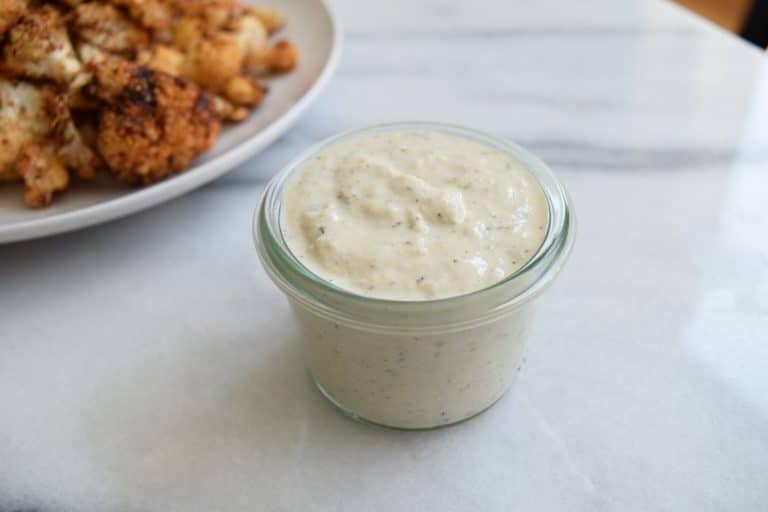 Chop the cauliflower into bite size pieces and place in a large bowl, then add oil and spices. Mix well until all pieces are coated. 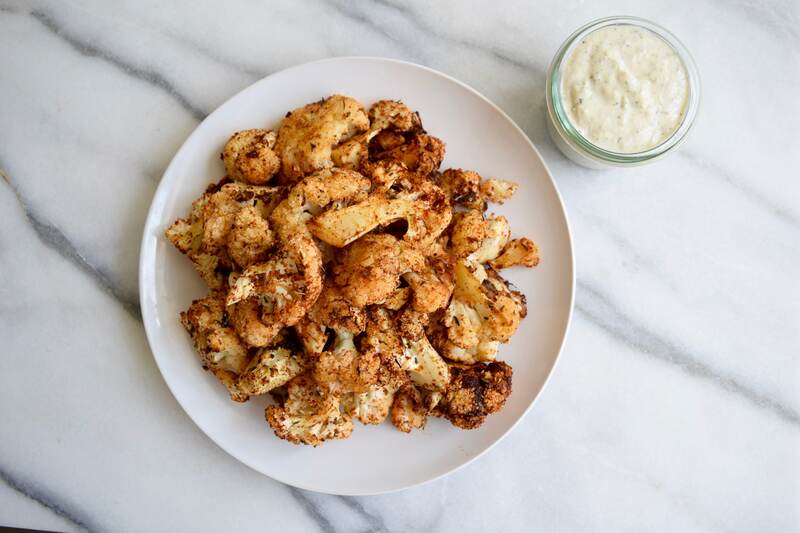 Place cauliflower on a baking sheet and bake for 20-30 minutes, flipping halfway through. After the cashews have soaked about 30 minutes, drain. Put in a bullet blender with ⅓ cup water, apple cider vinegar, thyme, and salt. Blend until smooth. 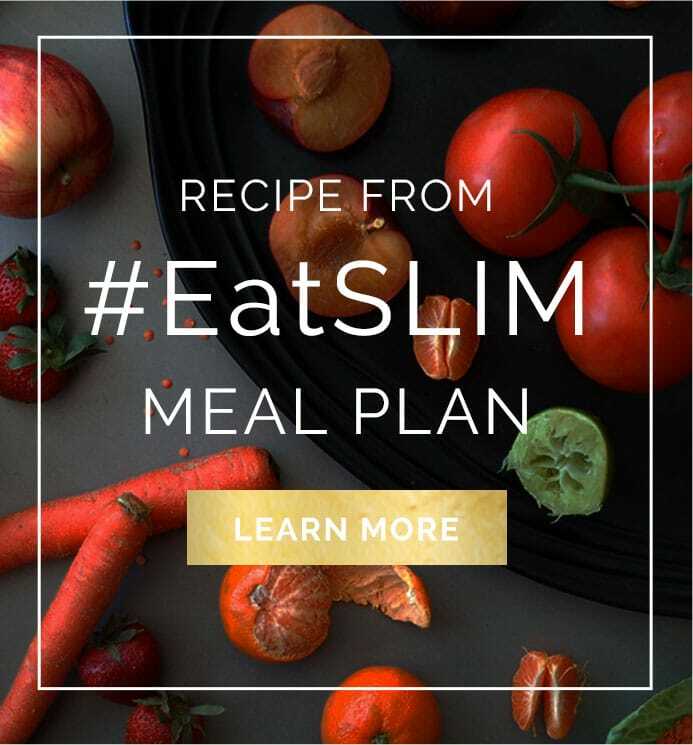 If it looks chunky, add an additional 1 tablespoon of water at a time until it has a smooth consistency. (This will depend on your blender and how long you soak the cashews). Serve as a dip alongside the cauliflower. Stick a toothpick in these bad boys for a party appetizer, or serve as a side dish. Are these meant to be served hot or cold?